Reviews are done by Jim Matt, our Head Brewer, who is also a veteran FoBAB judge, GABF judge, and BJCP Master judge. 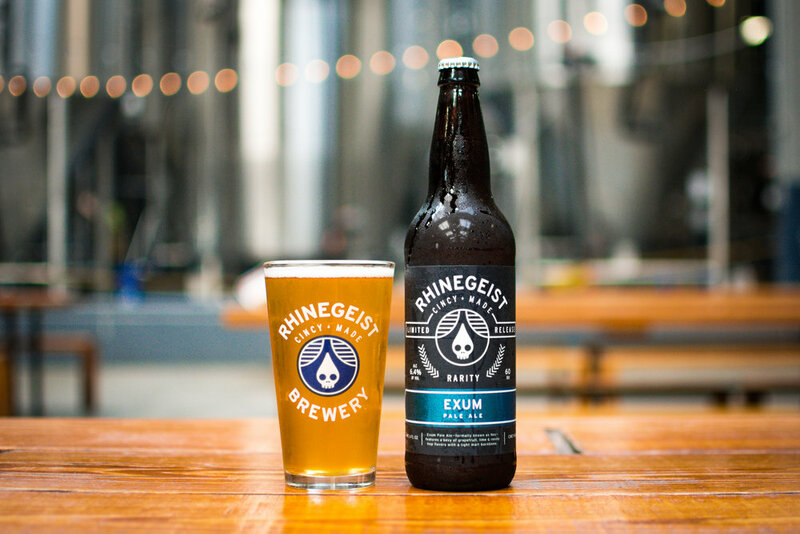 Exum (6.4% | 60 IBU) is a Pale Ale that has a long history at Rhinegeist and with our head brewer. Jim, how did Exum come to be? 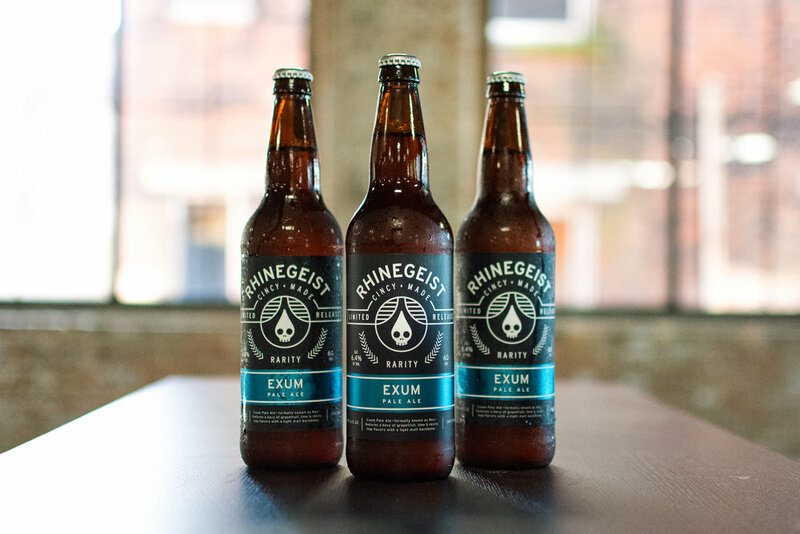 Exum is a beer that I first brewed about 13 years ago as a fledgling home brewer. I have a friend that I met in the Tetons, Mr. James Booth. James is a big fan of hoppy beers, so I brewed a higher-to-style pale ale and called it Nez Perce Pale Ale — named after the peak in the Tetons. As we scaled it for production 3 years ago, we called it Nez, but it was often confused for Zen. So we changed the name to Exum, after Glenn Exum, the famous mountaineer that ascended the Grand Teton by his namesake route. It is a big pale ale, with a very soft malt character from the Golden Promise base malt that we use in it. What makes you want to drink Exum? If you like hoppy beers, Exum will have you coming back for 2 or 3 more! Appearance: Gold color with light haze. Medium carbonation, medium head retention. Smell: Aromatics of citrus (lime, grapefruit), light tropical peach notes, slightly herbal, low malt aroma. Taste: Medium bitterness, hop flavor reminiscent of orange, grapefruit, peach and lime. Medium low soft malt flavor with a slight grainy/spicy character from the rye. Dry finish. Overall: A bitter, aromatic higher-end pale ale that delights the palate with a variety of fruity hop flavors. Perfectly balanced between malt and hops. What foods would pair well with Exum? Soft pretzel with beer cheese, or 5-spice chicken wings. I am becoming a fan of the Spiegelau IPA glass for beers like this.